First, a quick disclaimer. I am not a doctor, I do not play one on TV and have no intentions of doing so in the future. Be sure to consult a physician before trying any exercises on your own. If you're like me, you probably sit in front of a computer way longer than you should. For instance, sitting here writing this article or in your case, reading this article. But don't get up and wander away just yet, I have some key tips and quick exercises that can help alleviate the inevitable pain in your shoulders. Since neck pain is inter-related in most cases, the exercises will incorporate both the shoulders and neck. It is generally a good idea to try and avoid over-the-counter medication as a source of pain relief whenever possible. In many cases that will only provide temporary relief and longer term usage of pills such as Non-Steroidal Anti-Inflamatories (NSAIDs) like ibuprofen have been known to cause stomach problems. Some very basic tips to help you from helping you avoid the pain to begin with are to maintain good posture while seated(shown below), get up to take breaks often and drink water throughout the day to maintain hydration. I'll admit, my posture when seated probably isn't the best and because I work with computers all day and spend many evenings on my laptop as well, the deck is stacked against me. If you've tried to follow those 3 steps and still suffer from shoulder pain and neck pain, the next step in most cases is to self massage the affected area and apply a cold pack. You can utilize your hands, but I find that the best way to pinpoint the affected area and provide the best relief is by utilizing a Thera Cane Massager. The neck and shoulder muscles run down either side of the neck and across the top of each shoulder-blade. Using your Thera Cane, feel around each shoulder and try to pinpoint the source of the pain. Many times you will fill feel a knot or bulge where the majority of the pain is emanating from. Press down and massage the area with as much pressure as is comfortable for you and then release. Do that several times to relieve some of the pain and then apply a cold compress. 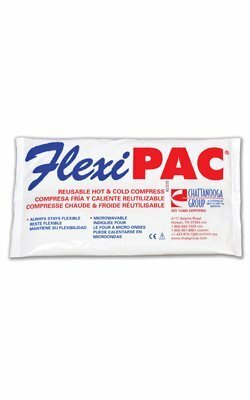 Many Chiropractic offices recommend using a FlexiPAC, which is a gel pack that you can put in the refrigerator or freezer and it will stay flexible. I personally utilize the Thera Cane Massager and Flexi-Pac compress and they are a life saver. Do not apply ice/cold for more than 20 minutes and it is usually best to wrap the cold compress in a towel or apply it on top of an existing layer of clothing so that it does not come in direct contact with your skin. In addition to self-massage, shoulder exercises to help strengthen and stretch the muscles should help prevent the pain from recurring as often. The video below will show you several excellent shoulder exercises, combined with neck exercises, that can be done in under 3 minutes. Following those simple steps will go a long way to helping you alleviate shoulder and neck pain and hopefully will also help decrease the occurence in the future. Here's to your health and well being! I ache at the end of the day, I will have to try a few of these for shoulder pain relief. I really don't drink enough water, coffee yes, but I think that probably hurts more than helps. Thanks for the comment, hope it helps. My problem is I don't do the stretching/exercises enough, but the ice pack does wonders when things are at their worst! What great tips for reducing shoulder pain and keeping tight muscles at bay! Thanks for your helpful tips for keeping us pain free! Voted up! Thanks for the comment skeffling, much appreciated! Great tips for shoulder pain from sitting at the keyboard. Wish you had some ideas for a painful tendinitis shoulder pain. I have stuffed my shoulder and after physio, a cortisone injection still painful and its been 4 months now and still no better. Try the long hot soak with Epsom salts that I have at my "place". We do this after a day of straining at the desk or after a long hard work out. Also do some gentle dumbell curls, just start from the elbow. This is great advice Sandy, especially BECAUSE you are not a doctor and have worked it out for yourself. I am happy that the Thera cane is still around. I use a tennis ball in a sock. I hold the end of the sock and grind agaist the ball - up and down the wall. An ouch spot means you have found the trigger point and it needs a few minutes of intense grinding. These are some great tips! 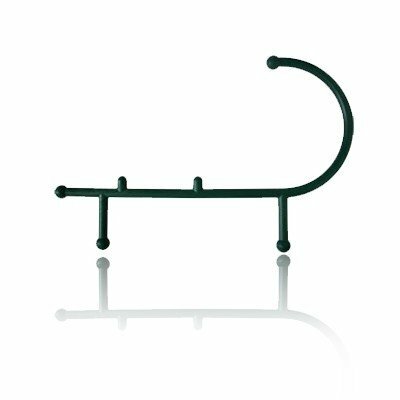 The exercise set is easy for anyone to do - even an elderly person with limited mobility. Thanks Eileen, Yindee and Kyla for the feedback!